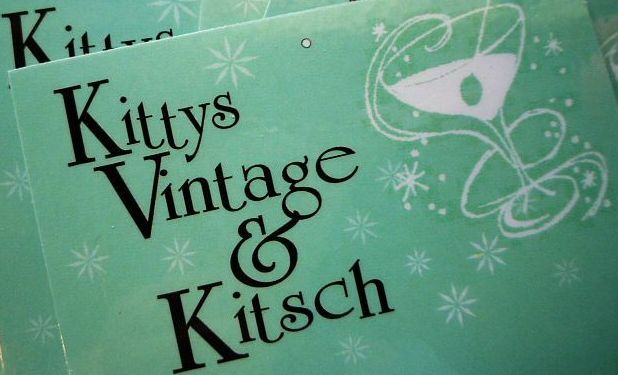 Kitsch-tastic poodles!! Despite my business name I sell very little kitsch, but I've had these babies tucked away for a couple of years just waiting for the right time. Can you guess their intended use?? They are doorstops! They have big holes and rubber stoppers in the bases, one of them was still full of sand when I bought them. Pretty floral 50s dress, such a flattering cut, but sorry girls, this one's already gone! Stunning Art Deco display cabinet, of course this one is all due to Sue, how does she do it?! I keep asking myself too! 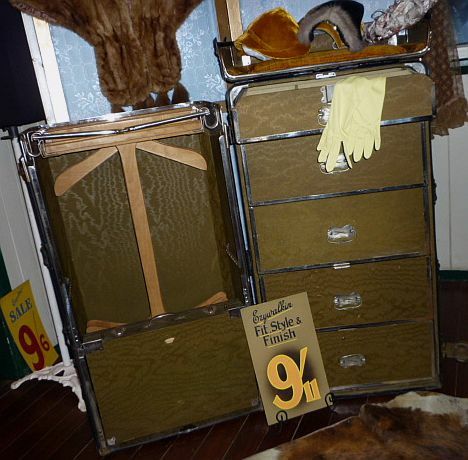 Huge travelling trunk, complete with flip lid for jewellery, drawers, shoe briefcase and coathangers. Would you believe it weighs over a hundred pounds?! 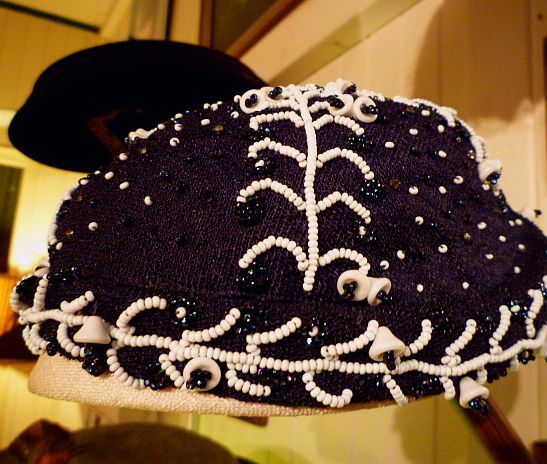 This pic doesn't do it justice unfortunately, but it really is a special piece which we were very pleased to acquire. In other news.....I've been a bit slack on the blogging front this past week, haven't I? Well, we've been working on a couple of secret projects- I can't talk about them yet, except to say, they're all good and all vintage! Oh it is very lovely, but HEAVY eh, definately for Ship Travel. 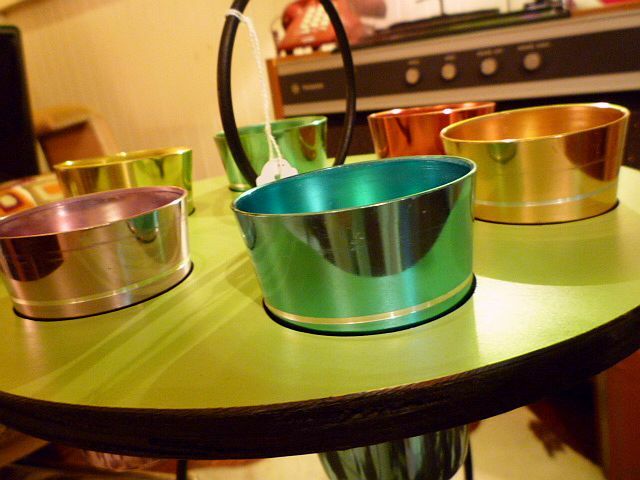 OH wow I really want that anodised cup set! There is something about drinking out of cups made from that which brings me right back to my childhood. Funky design too! I also love the traveling case but hate to think about the overweight charges it would bring while traveling! Could make a cute mini wardrobe alternative though... brb planning a trip to queensland! There's a ceramic poodle doorstop in the porch of a house I regularly pass. One day I'm going to knock the door and demand they sell it to me. I love them. Your shop is fab!! I miss mine. I can see why you do so well, your hats, furniture etc are top of the line! 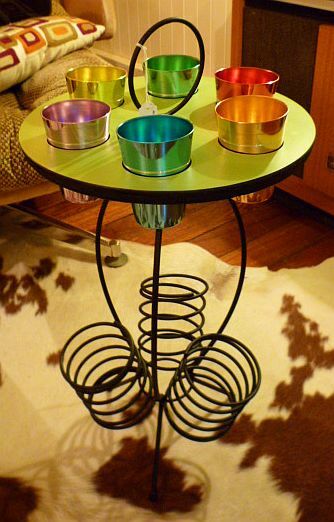 OoOOo I love the poodles, orange glassware, anodised cup set and table (that one is REALLY COOL! 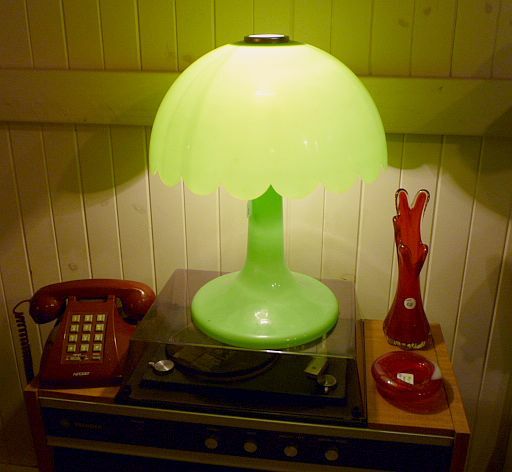 )and the mushroom lamp is a beauty! Poodle-o-bilia - our word for collecting poodles. I'm sure there's a fan just waiting to snap those us. 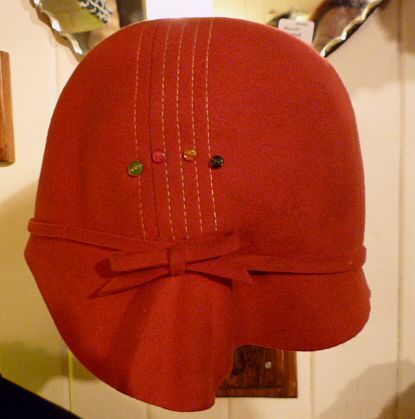 The dress is too sweet, just needs the perfect hat and gloves... oooh and you have the hats! Great fun browsing it all. 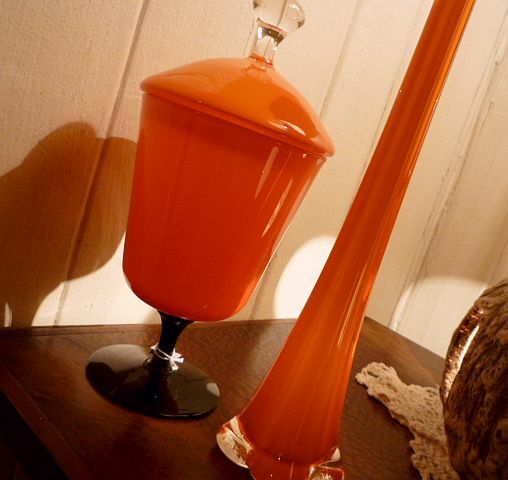 The retro orange glassware is totally my bag! Oooo,can't wiat to hear what you've been up to!!! I love the mushroom lamp! I want one! gimme gimmme,those poodles remind me of Vixs cute poodle finds.love the mushroom lamp too and hats amor.